Right click a bone to select it. 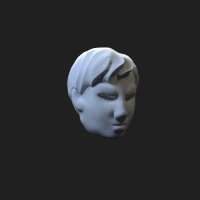 DesktopHero is an open-source, open-library character maker for 3D printing! It began as a Kickstarter in mid 2016, then became a real thing over the course of the next year and a half. The webapp was released to the public in January 2018. Check out the Kickstarter or the Facebook page for more information. I'll maybe put a bio here eventually, to go along with the picture of me and my cute wife! 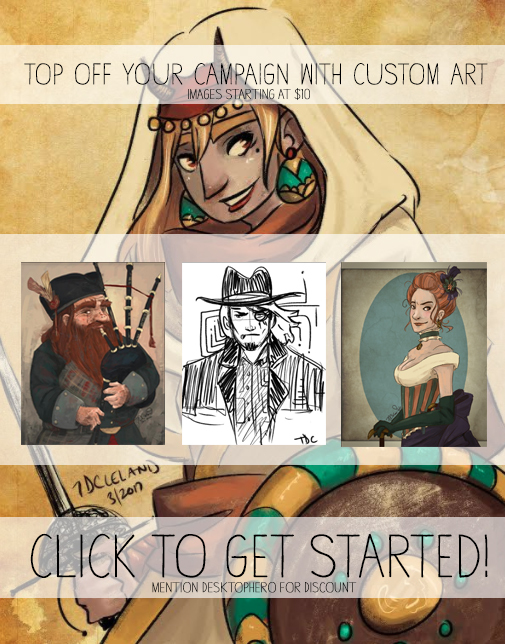 all the folks who pitched in to support during the Kickstarter! You made DesktopHero possible. 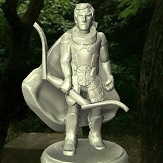 First I want to thank Andrew for creating a free to use 3D character tool for everyone, Thank you. I have been gaming since I was young, starting with Warhammer Fantasy and The Black Eye (a very popular RPG here in Germany) in 1998, when I was 13. After my Abitur, I studied Biomimetics at the University of Applied Science in Bremen and was getting really “in touch” with 3D printing for the first time. Obviously, I was intrigued by the possibilities for miniatures games, but the technology was still too expensive at the time. When I finished the bachelor’s degree in 2011, things had changed. The Reprap initiative had started to change the industry, so I could afford my first 3D printer, so I started getting in this new technology. In the current time (early 2018) I, as a person and a company (3D-Print-SAM), am involved in a European project led by the EDR (EMS Dollart Region), to develop new material for 3D printing, called “bio-economy in the non-food sector” and introducing a training system for companies. I am part of the “biological materials group” in Bremen, working with a fine team of scientists on the usage of bio-based polymers and naturals fibers in modern applications. Cube maps by Emil Persson, AKA Humus, licensed under the Creative Commons Attribution 3.0 Unported License. Thanks for those! 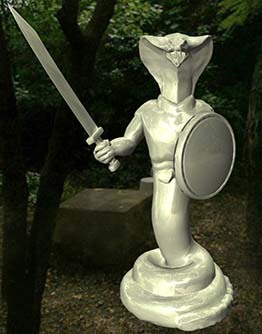 I saw a sculpture of a snake god in a museum and that gave me the idea to create assets to make a snake warrior. Simple back story, it's a cobra snake warrior guarding is queen lair from heroes that want to steel their treasures. 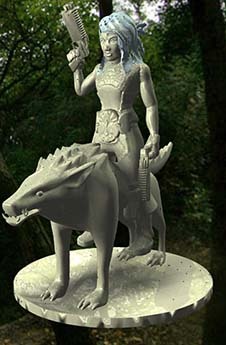 The dual pistol shooting warrior riding atop a worg! Mrrin started off in Neverwinter Nights on a server that had a bunch of third-party resources like weapon models, capes, armor styles... and heads. One of them was a head that had large eyes that could be colored (unlike all the regular heads.) I was playing with the character creator one day and happened to make a character with that head, drow colors (jet skin, white hair) and yellow eyes. A minute later Mrrin in all her creepy cuteness was staring out at me; I almost jumped out of my chair, actually. In-character, she presented herself as a barely-literate sneakthief, but actually was an incredibly intelligent assassin who had a serious grudge against "tallfolk." She claimed to never know why she looked so odd, a halfling-sized drow or a drow-looking halfling, but with yellow eyes. It was somewhere along the line there that she got her nickname, which became her 'family' name, of "Shadowflower." She spoke barely-coherent, broken Common, and her particular specialty was going after mages while carrying no or few magic items at all so as not to trip any wards or protections against magic weapons. Over time, and well after the NWN server closed, I wrote Mrrin as becoming tired with and conflicted about being an assassin, and she turned to jewel-theft as a better way to make an illicit living. (Plus, tallfolk got so hilariously angry when you took away their shinies!) She still maintained a lot of assassin habits, though, and avoided speaking Common in anything but a broken manner. It takes a long, long time for her to warm up to tallfolk, in contrast to halflings, gnomes, dwarves, and other normal-(to her)-sized folks, and she has no patience at all with tallfolk who disparage folk her size. 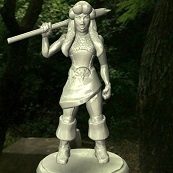 Dwarven Inquisitor. A former lock pick for a gang he reformed into an inquisitor for Torag. The use of intimidation and crossbow skills has pushed his party through situations that had both primary casters and melee stuck. Gruff demeanor and fearful persuasion are his main tools until it is more apt for a crossbow to talk for him. Force in the name of your god is sometimes a requirement to get the job done for the greater good. 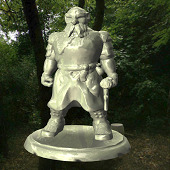 You are not in high resolution mode, so the model you are downloading is not as pretty as it could be! Thanks! Your file is downloading.